Joe. My. God. : Want A Chest Hair Coat? Want A Chest Hair Coat? You can have one for about $4000. From Lady Gaga's meat dress to necklaces made from pheasant's skulls, some designers use all sorts of weird and wonderful materials in the name of fashion. But the latest design is really quite hair-raising. 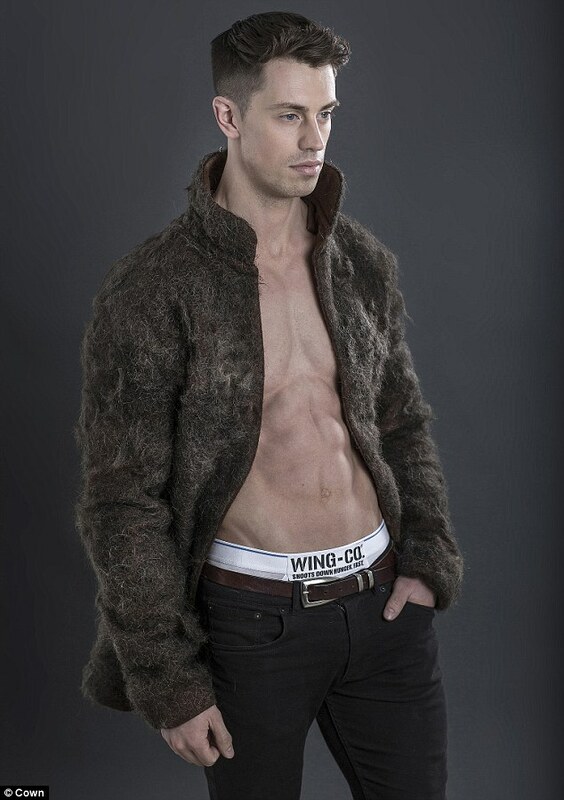 One company has unveiled the world's first fur coat made from 100 per cent male chest hair. The coat was commissioned by Milk Drink For Men, Wing Co., as a protest against the widespread 'manning-down' of British men, typified by clean-shaven chests and emasculating fashion. The coat, which features over one million strands of male chest hair, took a team of fashion designers over 200 hours to create and carries a hefty price tag of £2,499. Curious that the model is smooth, eh?